The efficacy of platelet-rich plasma (PRP) in the treatment of low back pain remains largely unknown. Up until now, very few studies have looked at whether PRP can effectively treat low back pain caused by degenerative conditions. When considering back pain that is caused by a degenerating disc, common treatment options standardly include physical therapy, medications such as non-steroidal anti-inflammatory (NSAIDs), corticosteroid injections, radiofrequency ablation and in some cases, surgery. Unfortunately, while these treatment modalities may lessen the severity of clinical symptoms, none target the underlying pathology or as we all are looking for, reverse the aging and degenerative process. A prospective, double blind randomized control trial published by Taukli-Wosornu et al (2016) analyzed 47 patients (27 in treatment group, 18 in control group) with degenerative disc disease as confirmed by provocative discography. Those in the treatment arm of the study received a single injection of platelet rich plasma (PRP) versus the control group who received an injection of a contrast agent into the painful disc. PRP (1-2 mL) was injected in discs determined to have concordant pain. Outcomes were based on the Functional Rating Index (FRI), Numeric Rating Scale (NRS) for pain, SF-36 (pain and physical function domains), and the modified North American Spine Society Outcome Questionnaire (NASS). Data was collected at baseline, one week, four weeks, eight weeks, six months and one year. The follow-up rate was reported to be 92%. No adverse of events including infection, neurologic injury or progressive herniation was reported. After eight weeks of follow-up, the treatment group that received PRP injections, had statistically significant improvements in regards to pain, function, and overall satisfaction when compared to the control group. Functional scores remained significantly improved through 1 year of treatment. It should be noted that follow-up of the control group was only 8 weeks. No follow-up radiologic studies were conducted to determine if there were any morphologic changes. While this study does provide data suggesting PRP as safe, efficacious option for those who suffer from low back pain due to degenerative disc disease, this was a relatively small sample size and the three questions of who is an appropriate candidate for this treatment, what PRP concentration is needed to have a therapeutic effect, and how many injections are needed, remain to be answered. Tuakli-Wosornu YA1, Terry A2, Boachie-Adjei K3, Harrison JR4, Gribbin CK5, LaSalle EE6, Nguyen JT7, Solomon JL8, Lutz GE9. Lumbar Intradiskal Platelet-Rich Plasma (PRP) Injections: A Prospective, Double-Blind, Randomized Controlled Study. PMR. 2016 Jan;8(1):1-10; quiz 10. doi: 10.1016/j.pmrj.2015.08.010. Epub 2015 Aug 24. In a systematic review of dextrose prolotherapy for chronic musculoskeletal pain by Hauser et al (Clinical Med Insights Arthritis Musculoskele Disord Jul 2016), the role of prolotherapy in spinal and pelvic pain was evaluated. The authors reviewed two randomized control trials looking at the effects of dextrose prolotherapy and corticosteroid injections for low back pain. One study (Kim et al) found a greater cumulative incidence of pain reduction (greater than or equal to 50%) for those given dextrose prolotherapy. However, in the second study that focused on iliac crest pain syndrome, there was no reported differences between dextrose and triamcinolone when looking at pain (VAS) and disability scores. In another study by Hooper et al, patients with chronic cervical, thoracic, or lumbar pain showed significant improvement in pain and disability scores with dextrose prolotherapy. Dextrose prolotherapy has also been found to be effective for coccygodynia (tailbone pain) in randomized control trials and published case series. The systematic review concluded that there is level 1 evidence that dextrose prolotherapy results in significantly greater long-term reduction in pain than cortisone injections in patients with sacroiliac (SI) joint pain. There is level 2 evidence supporting dextrose prolotherapy for short-term pain reduction vs. cortisone injection for SI joint pain. As for chronic neck, thoracic, and low back pain, there is level 4 evidence for improvement in pain and disability with dextrose prolotherapy. This review again demonstrates that dextrose prolotherapy is efficacious for specific musculoskeletal conditions and is a safe alternative to corticosteroids in many cases. A recent study published in the European Journal of Orthopaedic Surgery and Traumatology (Aug 20, 2016) compared cortisone injections to Platelet Rich Plasma injections for patients with a painful partial rotator cuff tear. This was a prospective, randomized controlled study that enrolled 40 patients with a symptomatic (painful) rotator cuff tear. Patients were evaluated prior the injection and at specific time intervals (6 weeks, 3 months, and 6 months) following the injection. Standardized outcome measures including the American Shoulder and Elbow Surgeons Standardized Shoulder Assessment Form (ASES), the Constant-Murley Score (CMS), Simple Shoulder Test (SST) and Visual Analog Scale (VAS) were utilized. The results of the study showed that both the cortisone injection group and PRP group both received significant clinical improvement following an injection. The PRP group had superior results that were statistically significant at 12 weeks with all outcome measures. At 6 months after the injection, there was no statistical difference between the groups. The authors of this study concluded that subacromial PRP injection should be considered a good alternative to cortisone injections especially in light of the potential complications associated with corticosteroids. The results of this study mirror findings from a previous investigation of 50 patients by von Wehren et al (Knee Surg Sports Trauma Arthro May 2015). The theory behind the results, relates to some evidence that the platelets may help provide revascularization to the injured rotator cuff tendon. More evidence is needed to fully support the use of PRP for the indication of a symptomatic partial rotator cuff tear. The current evidence does suggest a viable alternative to corticosteroid injections for short term relief with a lower risk of complications. A new study published in the American Journal of Sports Medicine looked at the use of Platelet Rich Plasma (PRP) injections for osteoarthritis of the knee both from a safety and efficacy standpoint. This was a small study consisting of 30 patients who received an intra-articular PRP injection in the knee consecutively for 3 weeks. Specifically, 3 to 8 mL of PRP was injected. Patients in the control group received 3 intra-articular injections of saline. The Western Ontario and McMaster Universities Osteoarthritis Index (WOMAC) score was used to assess outcome. The results showed that those who received the PRP injections had a 78% improvement from baseline whereas the controls only had a 7% improvement at 12 months. WOMAC scores improved to a greater degree in the PRP group than controls starting at 2 weeks. This effect lasted throughout the duration of the study. Overall there were no adverse events associated with the PRP injections. As this study was sanctioned by the Food and Drug Administration (FDA), the small study size was mandated to evaluate for safety. The results of this study support prior observations by Duymus et al (Knee Surgery Sports Traumatology Arthroscopy 2016) and Kavadar et al (Journal of Physical Therapy Science 2015). A recent systematic review by Meheux et al (Arthroscopy 2016) which included 6 published studies with a minimum of 6 months of follow-up also reported significant clinical efficacy for PRP injections in the treatment of knee osteoarthritis up to 12 months. Smith P. Intra-articular autologous conditioned plasma injections provide safe and efficacious treatment for knee osteoarthritis: an FDA-sanctioned, randomized, double-blind, placebo-controlled trial. American Journal of Sports Medicine. 2016. Apr 44(4): 884-891. Duymus TM et al. Choice of intra-articular injection in treatment of knee osteoarthritis: platelet-rich plasma, hyaluronic acid or ozone options. Knee Surgery, Sports Traumatology, Arthroscopy. 2016. Apr 7. Kavadar G. et al. Effectieness of platelet-rich plasma in the treatment of moderate knee osteoarthritis: a randomized prospective study. Journal of Physical Therapy Science. 2015: Dec 27(12): 3863-3867. Meheux CJ et al. Efficacy of Intra-articular Platelet-Rich Plasma Injections in Knee Osteoarthritis: A systematic review. Arthroscopy. 2016. Mar 32(3): 495-505. A recent case report published in the Archives of Bone and Joint Surgery has shown positive results for the use of Platelet Rich Plasma (PRP) in the treatment of a frozen shoulder. The case was a 45 year old man with adhesive capsulitis (frozen shoulder). He underwent PRP injections beginning after 7 months of symptoms. Following the first treatment, he reported a 60% improvement in pain during the day and had no pain at night. His range of motion reportedly improved significantly and a 70% improvement in function (based on the DASH – Disabilities of the Arm, Shoulder, and Hand questionnaire) was noted. The patient did receive a second PRP injection one month later. This is the first reported use of PRP in the treatment of a frozen shoulder. A frozen shoulder or adhesive capsulitis refers to a condition in which the shoulder joint tightens up due to the capsule becoming inflamed resulting in decreased and painful range of motion. Adhesive capsulitis usually be found in patients in the 40 to 70 year old range with a slightly higher percentage of women affected. Hormonal changes in women are believed to play a part in this. The true underlying cause of adhesive capsulitis remains unknown. It is known that this condition can result from a traumatic event or surgery. Diabetics are five times more likely to develop this condition. This is especially true amongst insulin dependent diabetics. It is believed that the interaction of glucose molecules sticking to collagen fibers within the joint capsule may lead to or contribute to this condition. Treatment of a frozen shoulder has traditionally focused around extended courses of physical therapy to preserve mobility of the shoulder. Anti-inflammatory medications (NSAIDs) and corticosteroids are also commonly used to reduce inflammation. Surgery is usually reserved as a last measure. A manipulation of the shoulder under anesthesia and/or a capsular release may be performed. Results have been shown to vary considerably. Recovery is often slow, taking anywhere from a year or more. Both prolotherapy and PRP treatments have been shown to provide positive results in the treatment of many soft tissue disorders. Several other published studies have shown the potential effectiveness of PRP in the management of rotator cuff disorders. 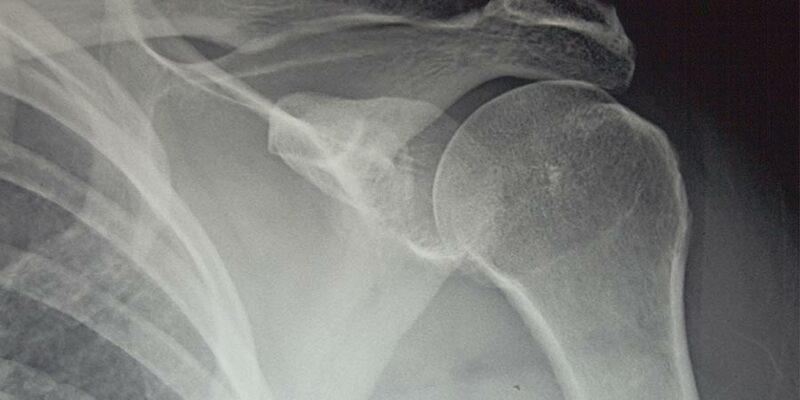 While no solid conclusions can be drawn from this single case report, it does provide us with useful information and further investigational studies are needed to assess the efficacy of PRP in the treatment of a frozen shoulder. Aslani H, Nourbakhsh ST, Zafarani Z, et al. Archives of Bone and Joint Surgery. 2016. Jan; 4(1): 90-93. In follow-up to a previous blog from October 2015 regarding prolotherapy in the treatment of rotator cuff disorders, another study was recently published showing positive results. Lee et al (Arch Phys Med Rehab 2015) performed a retrospective case-control study evaluating prolotherapy in the treatment of rotator cuff disease. In this study, 63 patients received prolotherapy, consisting of 16.5% dextrose solution and 63 patients received conservative treatment. The outcome measures of the study included the visual analog scale (VAS), average shoulder pain score for the past week, Shoulder Pain and Disability Index Score, active range of shoulder motion, isometric shoulder strength, and medication (analgesic) use per day. At one year of follow-up, patients in the prolotherapy group received an average of 4.8 ± 1.3 injections and had significant improvements in VAS, SPADI scores, isometric strength, and active range of motion when compared with the control group. As the authors pointed out, prolotherapy appeared to be effective in the treatment of chronic rotator cuff disease (duration of at least 3 months), however, as this study was non-randomized and retrospective in nature, the results must be interpreted with caution. This is the second recent study to conclude that dextrose prolotherapy is efficacious in the treatment of rotator cuff disease. Bertrand et al (Arch Phys Med Rehab 2016) showed that injections of hypertonic dextrose resulted in superior long term pain improvement and patient satisfaction for those with painful rotator cuff tendinopathy. As with many prolotherapy investigations, it is often difficult to compare studies as the specific diagnosis from one study to another often differs as does the treatment protocol and outcome measures. Nonetheless, prolotherapy does appear to be beneficial for a number of musculoskeletal condition with no reported adverse events. Rotator Cuff Tendinopathies: A case for regenerative injection therapies? A painful shoulder is one of the most common complaints seen by orthopaedists. Athletes who participate in repetitive overhand throwing sports such as baseball, basketball, and volleyball are at increased risk for shoulder injuries. The same holds true for those who work in an occupation requiring overhead activity. Pain and dysfunction to the shoulder(s) can also arise from normal aging. The term rotator cuff syndrome is often used when referring to tearing within the rotator cuff tendons. Anatomically, the rotator cuff is made up of four tendons: supraspinatus, infraspinatus, subscapularis and the teres minor. These tendons originate along the scapula and attach at various points along the head of the humerus. Within the shoulder there are several bursa which normally facilitate smooth gliding of the tendons and muscles. Many painful conditions related to overuse that encompass the rotator cuff tendons and surrounding soft tissues, are commonly referred to as rotator cuff tendinopathy. Rotator cuff tendinopathy is a very complex, multifactorial process involving both intrinsic (within a tendon) and extrinsic (outside of a tendon) factors. Clinically, patients often complain of pain with specific motions such as reaching overhead, with lifting, and often at night when sleeping on the affected shoulder. Loss of normal range of motion may also be present with forward elevation of the shoulder and with abduction (moving arm away from the body). Weakness and further loss of motion often result from disease progression. These symptomatic complaints may be caused by underlying degenerative changes within the tendons resulting in mechanical overload. Additionally, compression on the tendon(s) caused by bony structures may also accompany the forementioned intrinsic factors. The combination of a good detailed patient history of complaints, a sound physical examination, and an MRI of shoulder can help the physician provide the proper clinical diagnosis and direct treatment. Traditionally, treatment for tendinopathies has included NSAIDs, physical therapy, and corticosteroid injections. Many can be successfully managed utilizing these non-surgical treatments. As previously mentioned, rotator cuff tendinopathy is a complex condition and in some cases traditional treatments fail to help improve symptoms. While there are varying surgical options depending on the specific underlying issue(s), the risks of the procedure and outcomes must be weighed. In the last decade, the use of regenerative injection therapies for rotator cuff tendinopathies, has been developed and continues to evolve. Prolotherapy, Platelet-Rich Plasma (PRP), and even stem cell therapies have been applied. Presently there is limited data to support regenerative injection therapies as a part of a standard medical treatment plan for rotator cuff tendinopathies. However, its use has been reported with increasing frequency by the media among professional athletes. A few randomized controlled trials and prospective studies utilizing Prolotherapy and/or PRP have been published in the last few years. Outcome measures have focused on pain scales, patient satisfaction, and disability indexes (Western Ontario Rotator Cuff Index, Shoulder Pain and Disability Index). The results for the most part have been positive. Further studies to show efficacy are needed. Bertran H, Reeves KD, Bennett CJ, Bicknell S, Cheng AL. Dextrose Prolotherapy versus Control Injections in Painful Rotator Cuff Tendinopathy. Arch Phys Med Rehabil. 2015 Aug 21. Scarpone M, Rabago D, Snell E, Demeo P, Ruppert K, Pritchard P, Arbogast G, Wilson JJ, Balzano JF. Effectiveness of Platelet-rich Plasma Injection for Rotator Cuff Tendinopathy: A Prospective Open-label Study. Glob Adv Health. Med. 2013 Mar;2(2):26-31. Is Platelet Rich Plasma (PRP) effective for knee osteoarthritis? 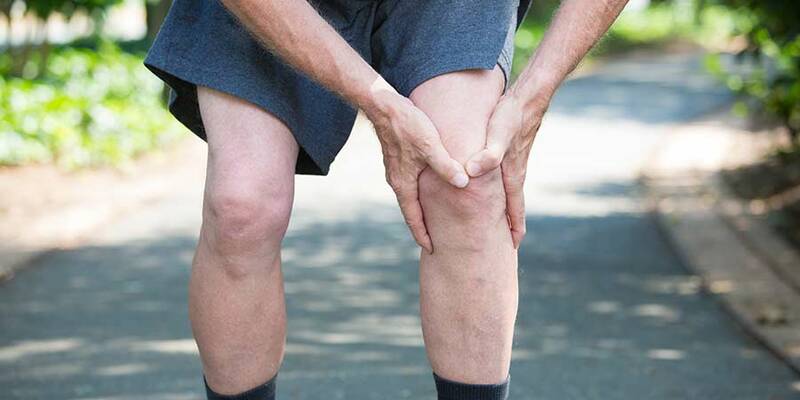 Traditional treatment for knee osteoarthritis has been focused on knee strengthening, the use of non-steroidal anti-inflammatory medication (NSAIDs), and corticosteroid injections. Additional non-surgical options including viscosupplementation is also a treatment option for some with mild to moderate joint degeneration and have failed other first line treatment options. 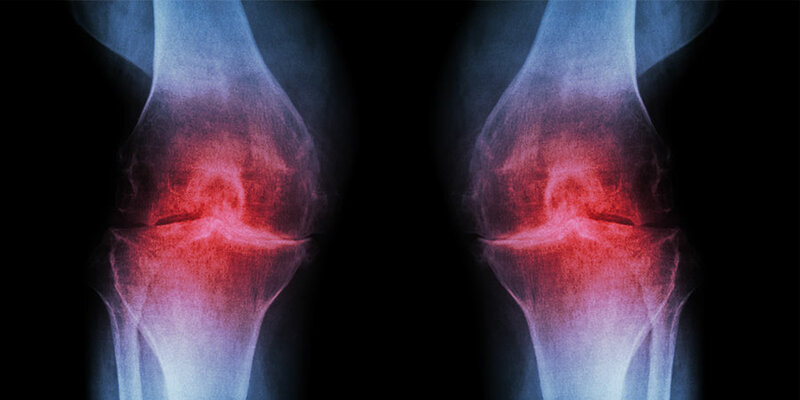 Several studies have been published this year in regards to looking at the efficacy of PRP injections for patients who suffer from knee osteoarthritis. A meta-analysis published by Campbell et al (May 2015), looked at the use of PRP versus corticosteroid injections, viscosupplementation injections, NSAIDs, and placebo. The findings from the literature searches did show that PRP injections led to significant improvements in pain and function at 6 months and maintained effect until 12 months post-injection. Those with milder findings of osteoarthritis radiographically appeared to have greater benefit from PRP injections. A more recent double-blinded randomized clinical trial by Forogh et al (July 2015), evaluated one injection of PRP versus an intra-articular corticosteroid injection for symptomatic osteoarthritis of the knee. Patients with grade II/III osteoarthritis were randomly divided into two groups. Outcome measures included the Knee injury and osteoarthritis outcome score (KOOS), 20 meter walk test, knee range of motion, flexion contracture, and Visual Analog Scale (VAS) for pain assessment. Patients treated with one PRP injection had greater relief of pain compared to the corticosteroid group. A greater percentage of those treated with PRP were symptom free following injection, had improved activities of daily living and quality of life scores at follow-up. In another randomized control trial conducted by Filardo et al (July 2015), researchers looked at the potential benefit of PRP injections compared to hyaluronic acid (viscosupplementation) injections for patients with at least a 4 month history of chronic knee pain and accompanying degenerative changes. For this study, patients had 3 weekly intra-articular injections of either PRP or hyaluronic acid. Outcome measures included the International Knee Documentation Committee (IKDC) subjective score, KOOS score, EuroQol visual analog scale and Tegner score. The findings of the study revealed that both treatments were effective at improving knee functional status and decreasing pain. No significant differences were identified between PRP and hyaluronic acid. While these studies do show the potential for PRP to be beneficial for those with knee osteoarthritis, it remains unclear as to how many injections are ideal. Furthermore, the preparation methods of the PRP, and the activating agent must also be considered. Platelet Rich Plasma (PRP) injections for tennis elbow: What is the evidence? Lateral epicondylitis (“tennis elbow”) is one of the most common conditions seen by orthopedists. It is estimated that 1-4% of the population suffers from tennis elbow. The peak incidence usually occurs between ages 30 and 50. Lateral epicondylitis is classified as an overuse injury to one of the main forearm extensor muscles. The muscle becomes weakened from overuse and microscopic tears develop in the tendon that attaches to the bone (lateral epicondyle). The end result is chronic pain and inflammation. Treatment has traditionally included bracing, corticosteroid injections, use of non-steroidal anti-inflammatory medications, exercise, and surgery. Acupuncture, cold laser therapy, and extra corporeal shock wave therapy have also been utilized by some with mixed success. Treatment of tennis elbow with PRP injections has gained popularity over the last ten years. Many studies are being conducted across the U.S… Within the current published medical literature, there are numerous studies comparing the use of PRP to other treatment modalities in the treatment of tennis elbow. Studies range from high quality, controlled clinical trials to single case reports. Of the studies published in the last five years, evidence for the use of PRP has been mixed, but has favored a positive outcome overall. In the most recent of studies (Behera et al 2015), PRP was compared to bupivacaine for chronic tennis elbow. Bupivacaine is also known as Marcaine and is a local anesthetic. Twenty-Five patients were studied for up to 1 year following one injection of either PRP or bupivacaine. Those who received bupivacaine had better improvements in pain and functional scores than those treated with PRP. However, at 6 months and 1 year after injection, PRP was far superior to bupivacaine. In a randomized control trial comparing PRP to an active control group by Mishra et al (2014), 230 patients were studied. A successful outcome was defined as a 25% or greater improvement on the visual analog pain scale. The results of the study showed that there were no differences between groups at 12 months, but at 24 months PRP was superior (83.9% vs. 68.3% in control group). A doubled blinded, randomized control trial by Gosens et al (2011) comparing PRP versus corticosteroid injections in patients with chronic lateral epicondylitis has similar findings to Mishra et al. In this study, 150 patients were randomly divided into the two groups. Patients treated with PRP were significantly improved versus those who had received a corticosteroid injection after two years of follow-up. No complications were noted. There are additional published studies looking at PRP use in treating lateral epicondylitis. Evaluating these studies can be challenging as the comparison group (“controls”) and outcome measures often vary considerably. Unfortunately, some studies also have methodological flaws which may invalidate the results. PRP for tennis elbow does appear to be safe and has so far shown the potential to be effective for a subset of patients. Sacroiliac joint (SI Joint) dysfunction or sacroiliac syndrome as it is sometimes referred to as, can be a potential cause of low back pain. It is a condition that is not well understood as there is no gold standard for diagnosing and treating this problem. The SI Joint is considered a diarthrodial joint and connects the sacrum to the pelvis. Limited motion does occur and the SI joints are supported by surrounding muscles and strong ligaments. While not completely clear, it is believed that SI joint pain can be caused by either too much joint movement or too little movement. Pain can also come from surrounding structures including the discs and facet joints. Diagnosis of SI joint dysfunction is often made based on tests conducted during a physical examination. Many practitioners also utilize a SI joint injection under fluoroscopic guidance (“live x-ray”) or CT guidance to confirm the diagnosis. If the patient receives relief of pain, even if temporary, then treatment can be focused on the SI joint. Non-surgical treatment options often include corticosteroid injections, manipulative physical therapy, and the use of non-steroidal anti-inflammatory medications. More advanced options include radiofrequency neurotomy and SI joint fusion. Results of a systematic review of the literature (Rupert el al 2009) found evidence for radiofrequency neurotomy use is very limited based on only a few quality studies. The number of SI joint fusions has increased significantly in the last few years including the use of minimally invasive approaches. 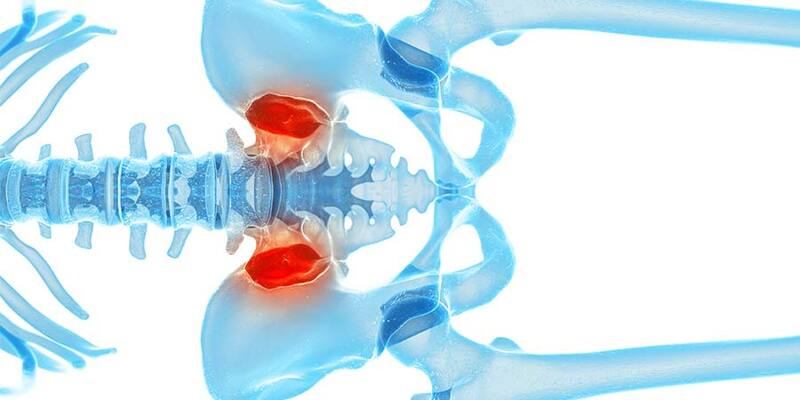 The indications for a fusion is limited and there are concerns that by removing motion within the joint, more forces will be transmitted across the hips and lower spine leading to further problems. So what other options exist for those who suffer from pain emanating from the SI joints? Prolotherapy has been suggested and has been used successfully in a number of documented cases. The medical literature is very limited in regards to using prolotherapy for this condition, but the results of some smaller studies have shown that Prolotherapy may be an option to consider. Cusi et al (2010) followed 25 patients with SI joint dysfunction following a hypertonic dextrose solution injection under CT guidance. A positive clinical result was present for 76% at 12 months after injection and 32% at 24 months. In a randomized controlled study, Kim et al (2010) compared Prolotherapy injections to corticosteroid injections. 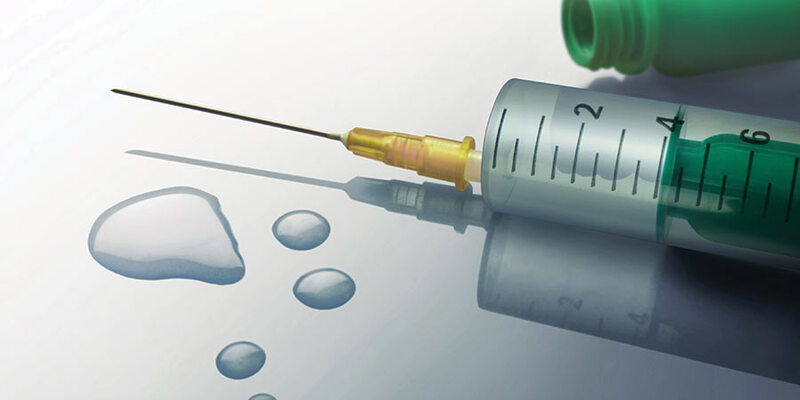 At 15 months post-injection 58.7% of those treated with a Prolotherapy injection had pain relief equal to or greater than 50% versus 10.2% for the corticosteroid group. Going back to the underlying reason for SI joint pain, the common thinking is pain and dysfunction result from changes in ligamentous laxity. Prolotherapy is aimed at injecting an irritant into the joint and/or weakened ligamentous structures to promote a response by the body to heal the affected area. While limited data to support Prolotherapy for SI joint dysfunction exists, no significant adverse events have been reported in the literature and mostly observational studies have shown the treatment to be effective at alleviating pain for the subset of patients treated. Are you ready to let your body heal itself? We have decades of experience in the Tampa Bay area. While many rush to do surgery, our philosophy is about what is BEST for the patient. We focus on the providing outstanding patient care, education, evidence based medicine and consider ALL treatment options.